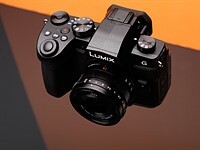 The issue is most pronounced when shooting low ISO shots and storing at 12 bits. When shooting at a high ISO, enabling in-camera noise reduction helps. While I don't think this will affect my normal shooting, it is still slightly disheartening to have a uniform area in the picture area smeared with geometry related streaks like that. In my original post I asked whether this is normal, can I do something in post-processing, and what to do to avoid the problem from appearing. Based on this thread and my additional test shots I conclude that yes, it is normal for D7100 and other cameras as well (although my test shots seem the worst). I guess that you could do something in post-processing (almost anything is possible now with the right tools), but maybe it is not worth the effort. To avoid this, simply don't shoot venetian blinds with darker areas next to it! In summary, I don't think it will affect me, but I still don't have to like it. I have the NEFs if someone wants to take a look at them. I will also contact my seller and show the results, they will hopefully take the information to Nikon. Thanks to everyone for such a lively discussion on the issue, it has been an interesting read!